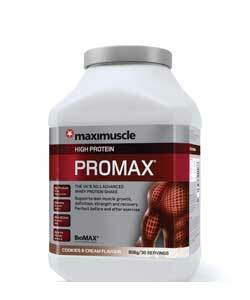 – Maximuscle PROMAX Protein shake: I take this daily, usually at 11am, mixing one 30ml scoop with 300ml of water. To begin with, I found this tasteless and considered mixing it with skimmed milk instead, but after persisting with water for a few days, I have become accustomed to the taste and now look forward to drinking it. This helps to fill me up mid morning if I get hungry. However, I do not find this gives me much energy, hence why I drink it a couple of hours before lunch rather than before the gym. – Maximuscle Promax Protein bars: Maximuscle supplied me with four bars per week, so I have got into the routine of eating these mid-afternoon on the days I go to the gym after work. Unlike the protein shake, this does give me the energy I need for the gym and the chocolate orange flavour helps to reduce my chocolate cravings and tastes surprisingly good! 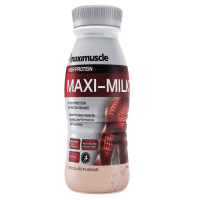 – Maximuscle Maxi-Milk Post-gym shakes: After each gym workout, I drink one of my post-gym chocolate milkshakes supplied by Maximuscle. Not only do these taste good and help me feel refreshed, they are great at aiding muscle recovery reducing aches and pains the next morning. I have also found they have stopped my cramp which I tend to suffer from after exercise.